Who buys houses in Charleston SC? Buying a house is the most important investment for home buyers. The process must be carried wisely because it involves a lot of repercussions and a house buyer’s life savings. As a seller, you have got to be careful with the type of buyer you’re dealing with. A sale for a slightly higher sales price, on the surface, can be very enticing, but you after real estate agent commission, buyers closing costs paid by the seller, repairs and legal fees, your offer from a professional house buying company like Charleston SC House Buyers will net more in your pocket. You should open the door for a straightforward deal with us, and you will be able to close the door much quicker on your house sale, with the cash in your hand on your timeline. If you’re wondering who buys houses in Charleston SC, different buyers come with different merits and offers. We have first time home buyers who may be looking for shelter (but are extremely picky), investors seeking to invest for the long-term, retirees looking to downsize, etc. These are new home buyers who are looking for a good shelter and need the house to be in absolutely perfect condition. If it is not, they will probably not buy the house, and if they do, they may call you afterward to fix things you didn’t even know were wrong with the house. If the HVAC system breaks after closing, you may still be to blame even though it was working when you owned the home. These home buyers usually do not have much money and that’s why they need you to pay all their closing costs and fix everything in the house before the could buy it. They are often legitimate buyers who may not be in a hurry at all. They compare one house with another and another and are in constant search of a perfect house, which really doesn’t exist. They are aiming at protecting their best interest which includes prices, the location of the house and future market trends; if they may want to sell in future. These types of buyers typically will end up looking at your house, but will ultimately by a new construction house so they no there are no repairs needed anytime soon. The advantage to selling your house to these people is that they want to make sure that every detail is perfect and they will not rush you since they do not need to buy the house for many months. If you’re a home seller in SC and want to sell your house quickly, you will get much better terms with Charleston SC House Buyers… and we won’t ask you for repairs after closing either. Those who are buying a house for resale. They repair, remodel and resale them with the hope of making a profit. Those who buy to rent the home to others. Those who buy for the long-term investment plan. For example, a mall is coming up in the neighborhood in the next 5 to 10 years and it could be worth buying a house in the area and keeping it until after the mall is built. Therefore, no matter your situation or condition there is a house investor like us to buy your house fast. Serious investors are local. No legitimate home buyer will be from out of town. Did you stumble upon a website that looks generic and the MAIN page of the website does not have your city name on it? Then, the investor is not real- they are only trying to get your house under contract so they can sell it to a legitimate company like Charleston SC House Buyers. So, if you’re wondering who buys houses in South Carolina, there are a few companies, but you need an investor in Charleston to buy your house. 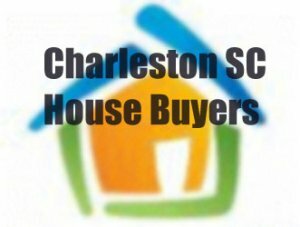 Charleston SC House Buyers is a highly motivated and legit house buyer who is willing to buy your home today and give you a cash offer. This is the type of home buyer a seller is looking for. They are highly informed and are knowledgeable and can help you, no matter the situation. Their buying process is very straightforward. These are usually individuals who have no experience in real estate but have watched a house flipping show on TV, where they think it is easy to buy a house, renovate it and re-sell the house for a profit. They see the false profits that the shows pretend like investors make and these buyers are lured to try to buy a house cheaply because of this. Probably, they are not in the business of buying and selling homes and they are not really interested in paying a fair price like Charleston SC House Buyers can pay for your house. Instead, that type of buyer will give you a really low offer, in hopes you won’t accept the offer anyway, which is probably good since that type of buyer wouldn’t have the cash to buy the house and couldn’t get a mortgage for the house anyway. You have to be careful while dealing with this buyer. Ask any house buyers you’re talking to how long they’ve been in business. For us at Charleston SC House Buyers, we have been in business for more than a decade and we are the local, trusted Charleston home buyer. To get a fair, cash offer for your house, just fill out the short seller form on this website and we will give you an offer today. You can also call us at (843) 553-5005.